Is a foundation as a home from home where people come to gain the support they need to deal with the effects of cancer. John Holt have a drop in morning on Fridays This is regarded as more of a social event, they have a variety of activates allowing you to talk to others that have been through a similar journey as yourself and gain important information and support. 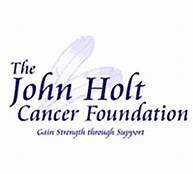 Having lost three family members within a year to cancer, Chris Holt soon realised there wasn't enough support for people like her.To make sure others in her situation wouldn't feel the same way, she set up the John Holt Cancer Support foundation in Warrington, to provide help and guidance to people living with cancer, as well as those who have lost loved ones.The support they offer has become extremely vital to those who need it.